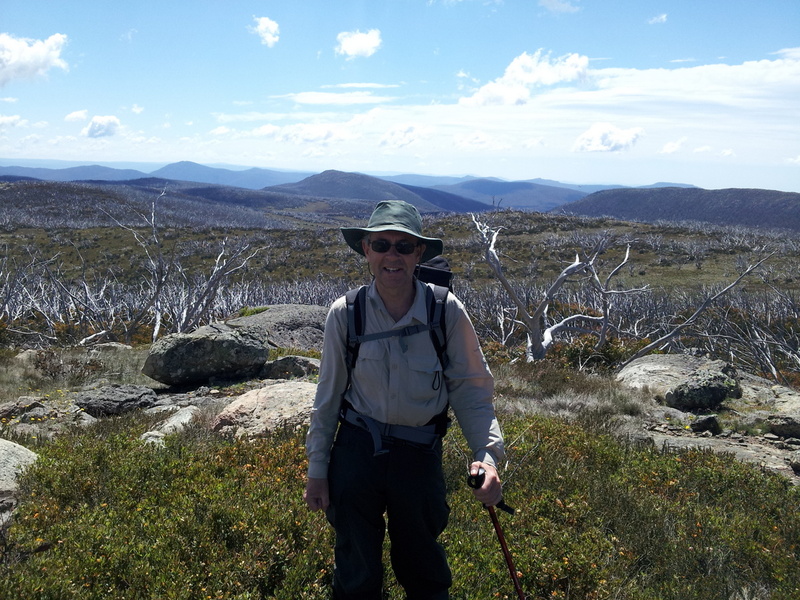 Kevin, VK3KAB and myself had been planning to revisit the summits down in the southern end of the the Alpine Park around Arbuckle Junction before the end of the year. A window of opportunity presented itself on Sunday, 28th December. We left Narre Warren North at 7am with a destination of Mt. Tamboritha, VT-011 a 10 point summit. Kevin drove up Dingo Hill Track from the Tamboritha Road and then took the 4WD track to the weather station, not far from the summit. After a steep walk of about 1.5km, we arrived at the summit at 10:30am local, pretty good time. On our last visit to Mt Tamboritha almost exactly 12 months ago, I left my UTC clock behind and thought I would have a look around for it. 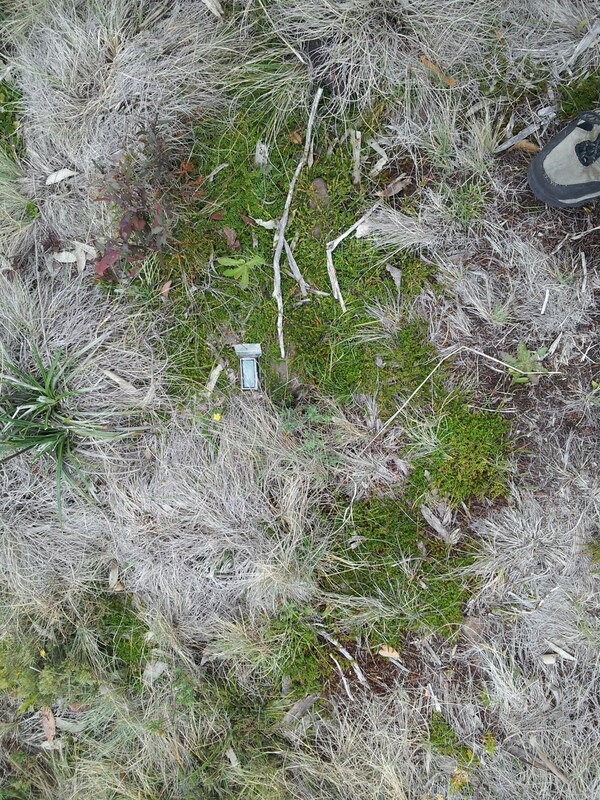 After a short search there it was, next to last years operating spot. As the clock was in a sealed zip lock plastic bag, I had hoped it might have survived, but this was not the case. The zip lock bag had almost completely perished and the clock was a rusty mess inside. I guess that a metre or so of snow and blazing summer sun has its toll. Now we know that zip lock bags are bio degradeable! My station was set up on 20m and Kevin set up on 40m to keep interference between us down. Four contacts were made on 20m, but then it was slow. The rest of the contacts were made on 40m. 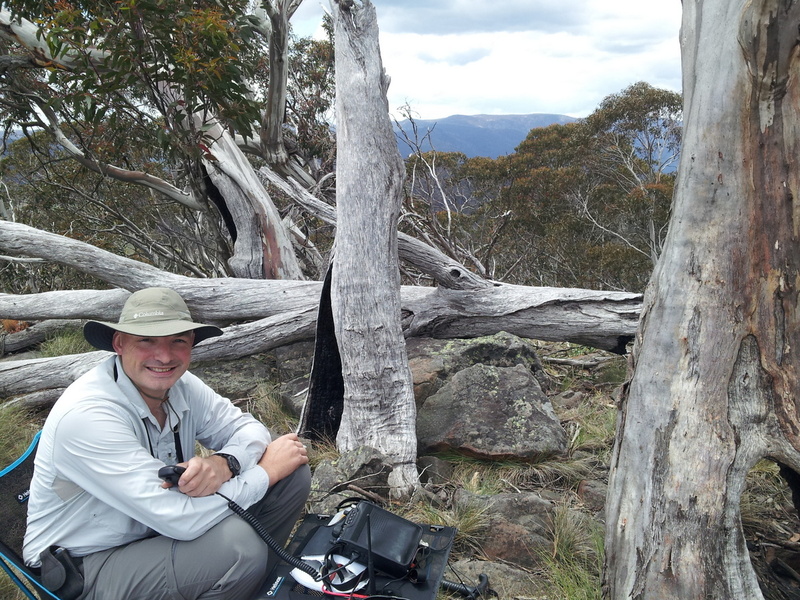 I tried to work Andrew, VK1NAM summit to summit on 10m and 20m with no success. Eventually we worked on 40m. 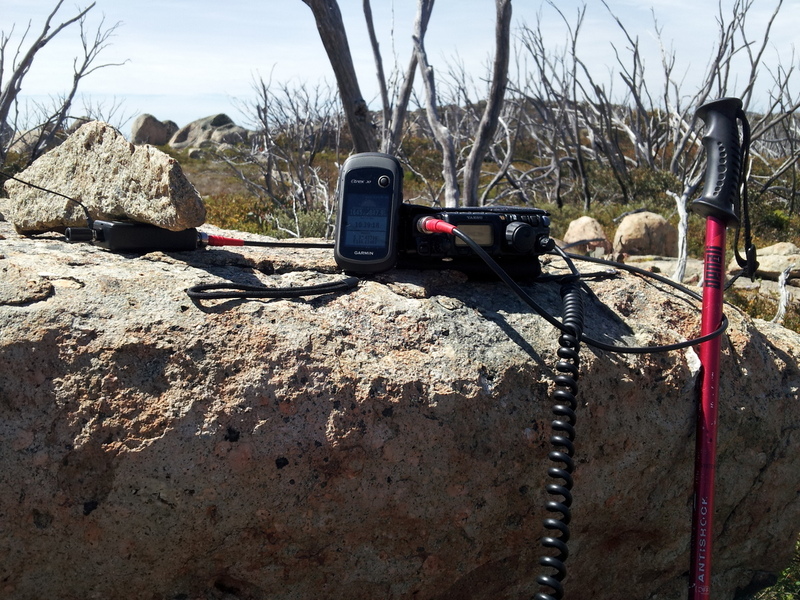 Summit to summits were also made with Peter, VK3PF on VE-154 and Paul, VK5PAS on SE-015. Strong signals from Paul on 20m. Mt Reynard, VT-002 is a favourite, although it is a bit of a slog with some bush bashing due to overgrown tracks. At 1710 metres high, it is the second highest in the Southern Alpine Park. The walk / climb is 3.7km from the track that runs in parallel with Kelly Lane. The best route takes you north to a small summit and then west to Reynard. At one time there was a track here, now that track is almost completely gone, it is lost every now and then. The last part of the hike is over the plateau area to the peak which only gains a few metres altitude. Last time we were here, the ants drove us crazy, but this time they weren’t noticeable. We both set up stations with some distance between us so we could operate on 40m and were on air at 3:30pm local. 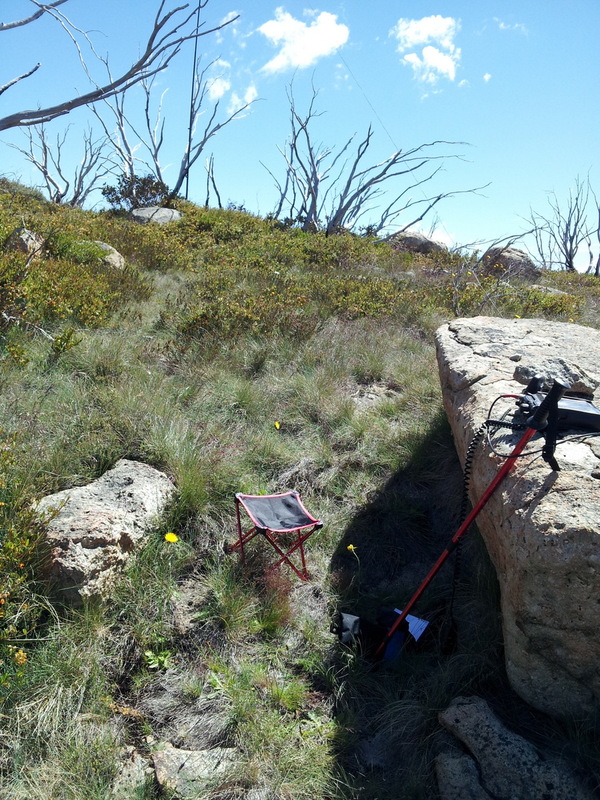 The summit was quickly qualified and I went over to 20m and worked VK8GM and VK4DD. As we had planned to activate Bryces Plain later, we didn’t stay too long. By the time we arrived back at the car it was clear that we would run out of time if we wanted to get out tents up in the daylight, so we scrubbed Bryces Plain for today in favour of establishing camp at Lost Plain. After dinner, Kevin set up a 40m station from our campsite and found some terrific conditions. Many stations were worked, mainly SOTA chasers from VK1, VK2, VK3 and VK8. Signals were very strong all around until the sun went down. As we didn’t have any phone coverage, Matt VK1MA put out a message that we would not be on Bryces Plain. The next day we woke to a slightly windy day with forecast of bad weather on the way, so we left early for Picture Point Range. After parking at Mc Farlanes Saddle, we walked in the direction of Lake Tarli Karng, but left the track a few km in and made a course for Picture Point Range summit. There was no track, firstly we followed an almost dry creek and then followed some open plains following a contour line around a summit to the east of Picture Point. The last 500m part of the walk was through dense regrowth necessitating removal of squid poles from the pack and crawling under or climbing over branches and bushes. By this time the wind had increased to gale force, so just below the summit, we set up between some boulders for shelter. The squid poles were suffering under the wind and I thought the antenna would break, but it held up for the activation. 40m was used by both stations. Patchy phone data coverage showed a wall of bad weather, so we didn’t stay long. As we arrived at the car, it started to rain so timing was about right. With the wind and rain, we thought it best to head back to the campsite and delay the next activation. The wind was so bad at the campsite, that we were forced to stay in the car wondering what to do next. Kevin suggested that we could head to Bryces Plain since this summit is easy access and we could retreat to the car if the weather dictated. 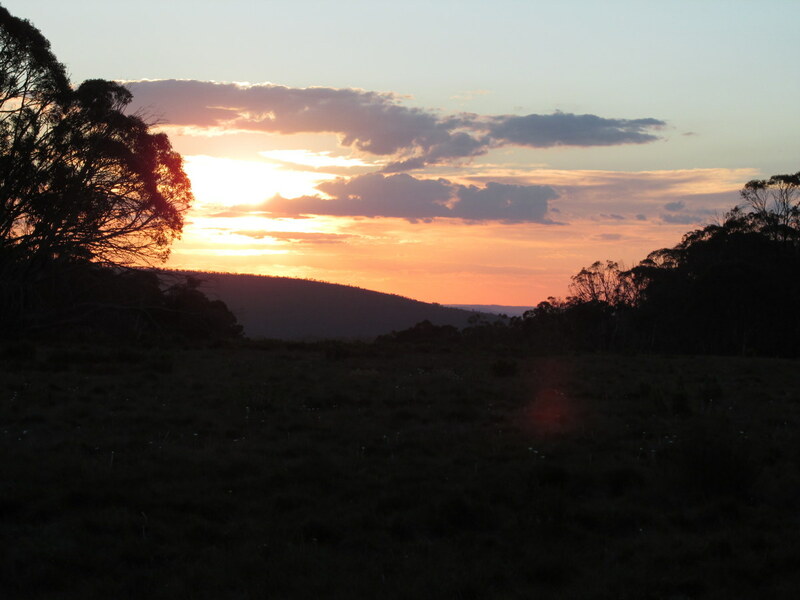 An hour later, we drove to the summit on a short 4WD track from the Howitt Rd. To keep within SOTA rules, we walked out of the activation zone and back and set up stations on the downwind side of the hill. I had just set up on 40m and it started raining. The Bothy Bag was accidentally left behind, so I made do with some plastic sheet. Six contacts were made and during one of them, a large hailstone whacked me on the back of the head while talking, hope the chaser didn’t hear what I said! After Bryces Plain, we had dinner and got an early night as it was pretty uncomfortable outside with the strong cold winds. The next morning, it was no better with a temperature of 4 degrees and a chill factor of -12 or so. It didn’t look like getting any better, so we we packed up and headed home via the unnamed summit, VK3/VT-032. This summit is also easy access, we parked just in the activation zone and walked out and back in. This time we only set up Kevin’s SOTABeams linked dipole at the top. After a few calls, the band was unusually silent. Eventually VK5KPR returned our call with weak signals. Then VK5KLV answered with similarly weak signals. It was like someone had turned off 40m. We had a summit to summit with Nick, VK3ANL on Mt. Buller, again with low signals. It seemed that 40m conditions were just plain bad today. After a few more contacts we packed up and left for home.